Meet ti Jerry (little Jerry). He is one of our newest little boys who comes to the Mother Angela Kitchen. Yesterday, Jerry got caught “pipi ing” on the property in front of our little dining area. 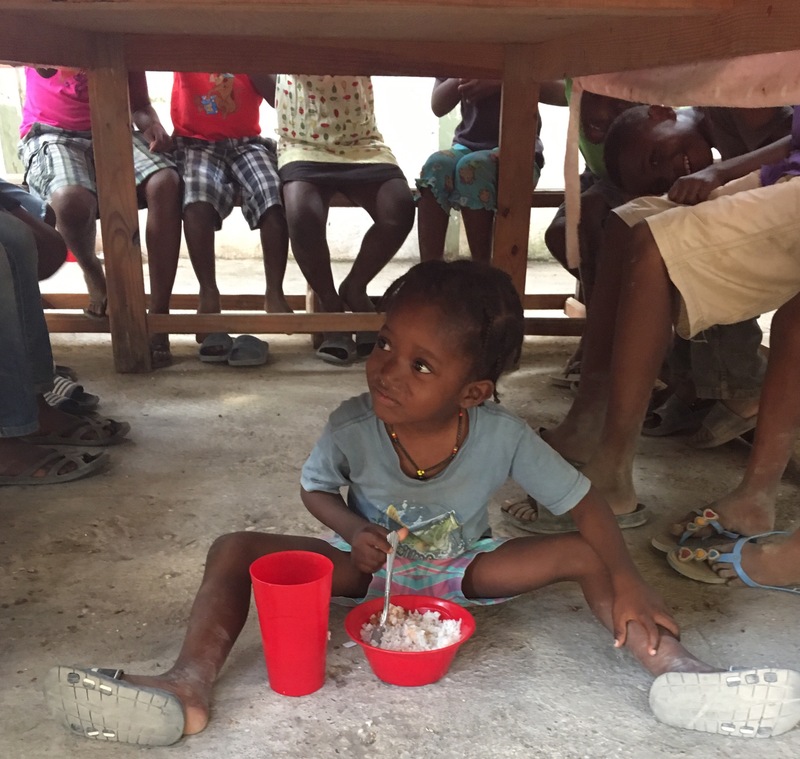 We teach our kids that there is a place for them to relieve themselves that is private, not just anywhere (this is a common thing here in Haiti). After Jerry got caught, he was afraid he would not be able to eat; so he quickly took his food and hid underneath the table.